Learn how to access the root of feminine energy and power to heal from pregnancy and birth and discover joy within yourself and your family. Create new forms of mothering and learn to facilitate daily access to the power, spirit, and joy that mothering from the center brings. 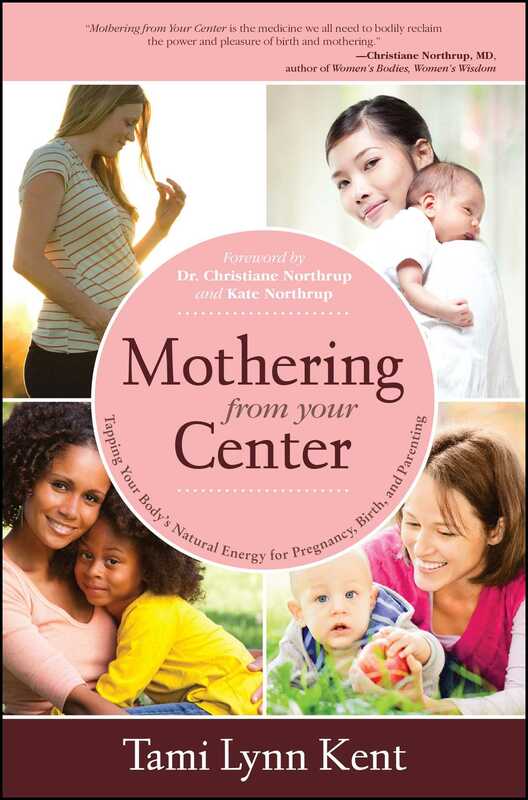 Building on themes from Tami Lynn Kent’s award-winning Wild Feminine, Mothering from Your Center takes a groundbreaking, holistic approach to women’s health as Kent provides gentle guidance through the emotional and physical transformative process of pregnancy, birth, and motherhood. • enhance creativity and joy. Whether you are pregnant, trying to conceive, recovering from childbirth, or raising children today, Mothering from Your Center will help you tap into your core feminine energy and explore your full creative range. Mothering is a hands-on creative process that can be tended and shaped like any creation. Spirit is calling you to mother something born of your own essence and experience. This masterwork of your mothering, your motherpiece, is essential. As you grow into your motherhood, your way of being will change. These evolutions inspire the palate for creations and additions to your motherpiece. Mothering becomes an inspired process for giving expression to your creative essence. In my women’s health practice, I have learned to read the energy patterns of the pelvic bowl, including organ energies and energy flow that change with a woman’s creative cycle. Pregnancy has a distinct sense of energetic fullness. The energy gathers to sustain a new life. Three times I have felt the fullness of pregnancy energy in the pelvis of women who have come to see me, only to find that they were not yet pregnant. In each case, the woman had a menstrual period and then became pregnant on her next ovulation cycle. Two of the women were actively trying to conceive, and in one case it was a happy surprise. I am intrigued by this sense of energetic fullness in a woman’s pelvis, the way the energy of pregnancy is palpable before an actual pregnancy. A colleague who is an acupuncturist relayed a concept from one of her Oriental medicine teachers: the energy of conception is thought to occur three months prior to a physical conception. For a Western mind, this challenges our understanding of conception as only a physical process. But the more I learn about the relationship between the energy flow and subsequent response in the physical field, the more this idea of conception energy makes sense. I ponder my personal experience with conception. With each of our sons, there was a conscious yes, a point where my husband and I made a decision or accepted the potential of pregnancy about three months prior to the physical manifestation. But what about accidental pregnancies? Or women who do everything they can to conceive but to no avail? Conception and the embodiment of a new soul is one of life’s great mysteries. Energetically, for any creation we make, we hold the essence in the center of our body. When I am writing a book, I feel pregnant with the creative energy that will infuse my creation. Working with the energy in the center, a woman can consciously cultivate what she creates in every aspect of her life. When, then, does one become a mother? Is it marked by conception, pregnancy, birth, or adopting a child? Rather than a certain beginning point, I think of motherhood as a process of becoming—much like life is made by living. After a decade of mothering, I know significantly more than when I began. I thank my oldest son for being “my first pancake” and coming into a new set of parents. Besides tending a child and working with your creative essence, becoming a mother also requires addressing your mothering lineage. Most of the women I see in my practice have “mother issues,” meaning that they struggle with various aspects of how they were mothered or the relationship with their mother. Though there can be “father issues” for women as well, becoming a mother means stepping into the lineage of motherhood: renegotiating the lines that define it and making your own mothering imprint. To mother my first son, and eventually three, from a more whole place, I went to the deeper currents of the spirit realm. I learned how to care for my wild feminine energy, to supply the stores needed for bringing my children forth and tending them as well as my women’s health practice and writing. My guidance for mothering and creative direction came from being present in my own center. In my work and my life, I have found that if a woman attunes to her center, her body contains vast information for cultivating all she tends. By developing my family life and work practice from the organic flow of spirit energy that moves from within, I hope to teach my children to attune to their own creative centers as well. I want my sons to witness that by opening ourselves to the possibility in each moment, we are most likely to encounter the sacred in the midst of living an awakened life. By meeting spirit in this way, we tend to its presence in our lives naturally, finding a deep satisfaction as we do so. The uterus is our direct connection to the Great Mother, drawing in the raw potential to manifest and tend our creations. 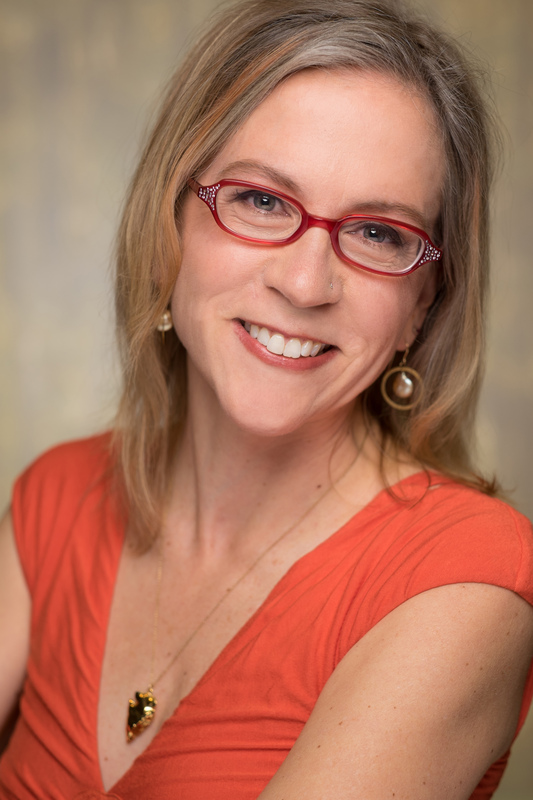 In Wild Feminine, I shared my experiences of working with the pelvic bowl and the surprising realization that women are typically lacking presence in their creative core. Modern women are generally unaware of how to access their own powerful root source of creative and feminine energies, and this contributes to a general ambivalence about mothering. Yet mothering calls us directly back to the home and the center of ourselves. Learning to access these root energies for our mothering enables us to harness this core creative essence for making a soulful life with our children. The womb is a sacred place, whether we carry children there or cultivate our best creative work. Forming a relationship with the womb and realigning with this place of mothering are essential to activating the creative potential in all that we do. Ponder your own relationship with your womb and mothering essence with the following exercise. 1. Imagine your creative essence, your mothering capacity. What does it look like? How does it feel? Where do you access it within your body? 2. Reflect upon how you are presently using your female energy to create or sustain something in your daily life. What inner rhythms or guidance are you following? Are you nourishing yourself as a part of your mothering? Is this how you desire to use your creative essence? 3. Ponder your creative desires. What do you love? How does your creative essence seek expression? How can this connect to your mothering? 4. Imagine a sacred place in the wild, or find a place to sit where you are directly in contact with the earth. Let your center respond to this vision or earth connection. What makes your creative energy come alive? How does your body feel when you access this potential? 5. Remind yourself to connect regularly with your own creative wellspring. Garden, sing, or take an art or movement class. You can even shape your whole day from this inner creative current. Let your mothering come from within and take note of the beauty that arises. Within each day and every creative cycle, there is an energy current we can pay attention to and even synchronize with. In doing so, we discover our ability to tend spirit while also attending to the details of living. Trying to make sense of my days with my children, I reached beyond the idea of a schedule based solely on time. Instead of a rigid structure, our schedule was made from the flow of each day. Any agenda or item on the to-do list could easily shift when a child became tired or ill or required extra comfort. Our rhythm also shifted from season to season or as we had more children and our family needs changed. Together we moved through creative cycles large and small that evolved as they transitioned from babies to toddlers and to increasingly independent—but still profoundly connected—school-age children and beyond. Practicing presence, by noticing the movement that infuses a moment or a particular aspect of life, we receive a direct connection with the divine. Moving away from outer distractions and instead dropping into pure presence as mothers, we can access the greater energies that are always there to inspire and sustain us. We begin to witness our blessings as part of our daily routine, nourishing the soul just as naturally as we eat or breathe. What new rhythms have come in the process of mothering? How has your way of being been reinspired? Accepting the path of motherhood will not simply bring you to your place of joy or connection with spirit; rather, it often will reveal where you have blocks. Like all spiritual journeys, the challenges you encounter will show the psychic debris that has accumulated in your energetic field. With its rigorous and prolonged period of demands, mothering taxes the body, mind, and soul in a manner similar to a grueling meditation regimen. On a spiritual retreat, participants often awaken in the early hours of the morning to meditate, placing the body in a zone of discomfort designed to clarify the spirit. Mothering does the same. The children you tend will assist you in meeting your shadow and finding the obstacles that limit your spiritual growth. In this process of transformation, the intensity of mothering reveals a woman’s roughest edges. I thought of myself as a composed and compassionate person until I became a mother. Then I realized that my thoughtful demeanor actually arose from my ability to control many aspects of my life. Similar to the spiritual seekers who live a comfortable life but then are surprised by the difficult feelings they encounter on a spiritual retreat, I came face to face with my own internal hungers. By entering the often nonlinear path of mothering, where my time was organized by the home-based needs of my infant, I had no choice but to face the stored energies and dormant needs of my spirit, which I had previously managed to ignore. In mothering from the center, we can also encounter a more authentic self. Living and growing with children, who live entirely in the present moment, fosters authenticity. Tending children, your world slows just enough to invite a return to the core, which allows for more authentic ways of being. Be willing to meet the places where your spirit has gone hungry, and tend yourself as well. Mothering from this central place—from where your children arise—takes you to the heart of what matters and reconnects you with the essence of life. What mystery does mothering invite you toward? How are you challenged and blessed by the spiritual journey of mothering? How can you embrace a particular challenge to receive the blessing? The wild feminine landscape is the term I use to refer to the energetic and physical creative range within the female body. In referencing this creative center, I intentionally chose words that evoke the resonance between the female body and the earth as the place where we can cultivate our own creative potential. I have come to know this place in my work with the female body as a women’s health physical therapist. My profession embodies the best preventative medicine for women’s health, yet this medicine is hardly known. Women’s health physical therapy has some amazing physical medicine tools to address and resolve pelvic problems like pain or prolapse (when the uterus or bladder fall toward the vaginal opening) as well as to augment postpartum healing, but the model for women’s healthcare is not yet preventative or holistic in its general approach. One of the essential women’s health physical therapy tools is an internal vaginal massage, which rebalances pelvic muscles and fascia. Fascia is a sheath layer that wraps around the organs and muscles, providing an internal elastic support system. Birthing or even a hard fall to the pelvis can set up tension patterns or adhesions in the fascial layer, disrupting pelvic health. Aligning the fascia through vaginal massage (also termed internal myofascial release), restores the full engagement of the pelvic muscles, proper alignment of the pelvic organs, sexual vibrance, and the energy flow of the core. By enhancing the core flow, vaginal massage brings greater vivacity to the female body and ought to be a basic part of women’s healthcare. The health in the pelvic bowl affects many aspects, from how a woman’s body supports her to how much pleasure she can access. In fact, while I have used vaginal massage to alleviate a myriad of pelvic symptoms, women have also reported increased vitality, improved libido, and a more dynamic feeling within. This core energy flow also determines a woman’s creative capacity. After working in the pelvic bowl with thousands of women, I see these core physical and energetic patterns as a filter through which we perceive and manifest our creative lives. We inherit many of these patterns from our lineage and life experience, but they can interact with and be shaped by ways that support more creative abundance and flow. By exploring the physical, energetic, and spiritual aspects of our female form, we discover the lines that define our creative range. We also find places to restore or expand this range so that it better serves our creative lives as women and mothers (rather than living with only what we were given). The physical body, including the pelvic bowl, contains your physical patterns and embodied forms that define your creative capacity and fertility. Around the physical core is the energy of the pelvic organs. In this physical and energetic meeting place, there are creative patterns and ways of using energy that influence all you create as a woman. Physical alignment in the pelvic bowl supports energy flow; energetic alignment enhances physical vitality. The more you understand how to work with this vibrance of your pelvic bowl, the more you gain your full range of creative potential. Delving into the mystical, we must remember our female bodies as a doorway to the divine, where life enters. In the creation of a child, a spirit enters from the spiritual realm. Energy gathers in the womb, and a physical body is made. Here is where spirit comes into form, where spirit becomes embodied. Alignment in the center, both physical and energetic alignment, means more flow, an expanded creative potential, and access to the greater energy and resources of spirit. Working with the connection to spirit in your female body allows you to access the infinite creative resources your spirit contains. Physical tension and energetic blocks in the pelvic bowl limit core vitality and energy flow. Conversely, physical alignment and balanced energy patterns create robust health and the potential for greater flow and energy resources into our bodies and lives. Clarifying your field means learning to sense and align energy as a way to organize your energetic space. It is helpful to clarify your body’s energy field as preparation for conception and birth events and to enhance the flow in everyday mothering. As you become aware of your own energy field and how much lighter it feels when it’s clear, then you can also clarify the energy around your connection to your partner, the energy fields of your children, and the energy field of your home. Energy is the essence of life that flows through and around us. When the energy field is clear, the energy flows more abundantly and fluidly, just like a free-flowing river. We can also have densities in the energy field, places of energetic or physical stagnation where the energy becomes sluggish and reduced. Just like a neglected closet seems to attract clutter, the energy around us and where we live can become stagnant or cluttered unless we know how to clarify this space. It takes practice and sensitivity to be able to feel energy and the field that contains it, but everyone has the capacity to sense energy. If you have a child who is particularly sensitive, he or she likely already senses energy and benefits tremendously from having a parent who understands how to clarify and align the energy field. Clarifying your field may include doing a specific meditation, receiving bodywork, taking a walk in the fresh air, or exercising. When you take care of your body and encourage your children to do the same, you increase the alignment of the body’s energy field. If children are moody or if you or your partner are moody, moving the body will move the energy and often clear the stagnation that is otherwise blocking your inner flow. The practice of feng shui, or placing objects in places that help align the flow of a room, is an example of energy medicine in practice. By caring for our home and organizing the physical space that nourishes us, we enhance the clarity of the energy field in the home and the people who live there. Every time I reorganize the toys and play space, my children come along and begin to play with new vigor and inspiration. They are responding to the enhanced energy flow with a greater flow in their creativity. Notice how, when you clean your house or make special preparations for a party, your body feels good being in the well-tended space. In fact, tending your home helps organize the energy field around your body. When there is alignment in the home, the body responds to this energetic clarity and order. Likewise, if you have been busy and unable to tend your home, you will find that clutter accumulates and your family may be more prone to conflict or moodiness. Rather than focus on the conflict, start organizing the house and invite them to help. The energy field will become clearer, lightening everyone’s energy. One of my favorite exercises for clarifying the energy field of the home and everyone in it is making a spiritual bath. This ritual is from traditional healer Rosita Arvigo and comes from the Maya tradition. A friend from India told me that her grandfather often went through the house, blessing the energy with a similar water bath. The spiritual bath is akin to holy water and is at the top of my list for realigning the energy flow. I make a spiritual bath to add vibrance to our home, prepare for special events, and help any family member who is moody or off-kilter in some way. My children often assist me in making one. The water blessing clarifies and restores the pristine radiance that flows in each one of us when our energy is aligned. 1. Fill a bowl with water. Gather some leaves or flowers, particularly from plants that you are drawn to—aromatic herbs and roses are ideal. As you gather the plant material, say a prayer, asking in your own way for divine assistance. One at a time, place a flower petal or leaf into the water. When you have finished gathering, notice the beauty created in this bowl. 2. Using your hands, squeeze the plant material into the water while saying a prayer. Ask for the healing, protection, or blessing that is needed. As Rosita, in passing on the teachings of Maya healer Don Elijio, says, “Trust—with all your heart—that blessings will come to you.” Notice the quality of air or energy that surrounds you. 3. Leave the bowl outside for an hour or so to continue to receive the earth blessings that create a natural alignment of energy flow. 4. Return to the bowl and squeeze the plant matter once more with thanks and prayer. Place most of the plant matter on the ground. Then begin to clarify your own energy by splashing water into the air around your body, like a bird taking a bath. Imagine the blessing of this water extending into your wild feminine landscape to brighten all the energy that comes into or radiates from your center. 5. Sprinkle the blessing water around the energy field of each family member (or invite them to splash themselves). Sprinkle the water around your home, clarifying the energy field of each doorway and room. Include your animal companions as well. When you have finished, pour this blessing water onto the earth, with gratitude. Creative blocks are the recurrent densities in your energy field that limit alignment and flow, and they are the next focus of the energy work I recommend. Encountering energy blocks and resistance to creative flow can be challenging, but, when engaged, they become some of your best assets for restoring a more robust vitality. Restoring energy flow in these places of stagnation is the key to accessing hidden creative potential. To engage with your creative blocks, let go of the stories and emotions that may be contributing to your resistance. Instead, seek them out at the simplest level by feeling the sensations in your body when they arise. Do you encounter a sense of creative blockage in regard to a specific aspect of mothering, a particular task in tending your home, your ability to access the passion in your life, or the cultivation of one of your creative dreams? When you find a specific block, explore it with your senses in full detail. What does it feel like? Is it soft or hard, thick or thin, heavy or brittle? The more curious you can be about the creative block sensations in your body, the better you can sense what is there; sensing the energy is essential to being able to work with and transform the restricted pattern that contains it. Rather than fixing your past, you are changing the energy imprint in your center. The next two sections contain specific examples of working with creative blockages. Many women worry about becoming a mother because of their own painful relationship with their mother or other difficulty from childhood. As a spiritual practice, mothering calls you to meet your mother line—the lineage of mothers that stands behind you—and fully take your own place there. Working in the female pelvis, I have seen that unresolved mother-line issues affect the creative flow in every woman, whether she becomes a mother or not. Even our relationship with the term or concept of mother determines how we access or block our creative essence. The additional step of having a child—a step that initiates your official motherhood—simply makes these energetic patterns and densities more visible so that you can engage them directly. If you had a difficult relationship with your mother, you may form an energetic blockage and avoid becoming a mother or resist your mothering role. Or whenever you think of or interact with your mother, you may feel patterns of tension in your body. You do not need to heal your mother to change these patterns. Rather than trying to relax your body when you think of your relationship with your mother, notice the specific sensations within the tension pattern. By feeling the sensations of the resistance in your body and energy field, you can move the core restriction. It seems simple, and it is actually a simple process, yet most people focus on the cause of stress (in this example, the mother relationship) instead of bringing presence to the sensations it produces in their body. Though the relationship may still be difficult, working with and attending to the energy blockages in your own body gives you the most power to change the way you hold the energy for yourself. In fact, by becoming aware of the sensations within an energetic block, you may shift an imprinted pattern with little to no resistance. We carry our lineage, from both our mother and father lines, at a cellular level. There are physical and energetic imprints of our ancestors in the body and ways of being. When women express worry about passing on limiting patterns to their children, I share that because of our intimate bodily connections, from in utero and even as an egg in the ovary, as well as the daily caretaking, we cannot help but pass along patterns to our children. With our presence and support, our children will also cultivate and transcend these patterns; they will take what they have been given and make their own patterns. Fortunately, even in families with difficult or painful histories, our complex family energies may contain threads or energy lines that resonate and can be taken up and celebrated anew. Savor the beneficial lineage patterns—like a talent for gardening, math, humor, music, networking, or cooking. Review those that are limiting—like a lack of self-worth, inability to express oneself, shame regarding the body, or difficulty in connecting with others. It is by acknowledging the imprints that we can begin to change them, particularly by sensing how our bodies respond and then reengaging our full potential. Drawing strength from the beneficial patterns and evolving beyond the limitations, we can amend our inherited forms. It is not essential to resolve a relationship with a particular parent or person to change your own lineage imprints. Rather, it is by clarifying your energy field and restoring the flow in places of stagnation that you bring a more robust quality to your creative center and mothering life. Giving to your children also heals you. Take the opportunity that mothering presents to work with your lineage energy, and you will find undiscovered potential. The burdens of your line, once addressed, will liberate your creative flow. Chapter 8 shares additional tools for transforming a painful lineage in regard to mothering. What are the gifts of your lineage? What are the challenges of these lines? How will you transform what you have been given? I inherited a pattern of rage-filled housecleaning. Anger was frequently expressed in my house while I was growing up, and the intensity of anger increased markedly when the house was being cleaned. I later had a tremendous block to cleaning, particularly in regard to vacuuming my own house, especially once I had children. Stepping into the role of mother brings to light more of your lineage issues. We all have patterns that we carry from our lineage. Some of them are beneficial and others are limiting. I have a love of children, my female body, and the feminine realms of birthing and being a mother. These are patterns I carry from my own mother, who loved these things as well. I have relied on these strengths in birthing my children, being a mother, tending a home, and even being able to cherish the female body as I do in my work. However, there are also challenges I have had to contend with. One is my own anger and the stress patterns that might activate it in toxic ways. To be able to vacuum after encountering my housecleaning energy block and sense of internal rage that accompanies it, I had to stop myself repeatedly (while vacuuming) and notice the specific sensations I was feeling in my body. I felt tension, as if I were being squeezed, and a sense of overwhelming pressure. I recognized the pressure as a feeling that there was a tremendous burden of tasks to be done and no possibility for rest. Yet I knew that I could take breaks if I chose to; the intensity of my feelings did not match the actual situation. When an emotional weight is greater than the reality surrounding us, it may be an amplification of the past and our lineage patterns. My mother and her mother both had intense workloads, including children and financial stresses, which took a tremendous toll. On the outside, they are quite different people. However, as mothers, they shared a similar devoted love for their children, combined with a sense of daily stress and pressure that rarely abated. Taking breaks in the midst of my own vacuuming, I slowed down my inner response long enough to recognize the bodily imprints of this stress and pressure in myself. Each time the sensations of stress would build, I would stop and breathe to regain my center. By laying my body on the ground, I could release the energy to the earth and with it the sense of building stress. Rage tends to rise, and moving it instead toward the ground made a different route for the energy to release. By interrupting my housecleaning to attend to my inner needs, I was reframing my embodied pattern of mothering to include rest and renewal. I was also retraining my nervous system to comprehend that stress did not mean full-steam-ahead work, ending only when I erupted in rage. By stopping, I also encountered vast layers of grief and my unmet needs and those of my mother line. I incorporated counseling and bodywork from gifted healers to clear these imprints from my field and make room for the life-enhancing flow of joy. Vacuuming also creates an energetic charge, which my body is sensitive to. When the ground is warm, stepping outside and standing on the earth with bare feet can clear this charge (or even the charge from computers and electronics). Additionally, breathing the fresh air and drinking water is helpful. This charge effect is worse when I am menstruating, so I avoid vacuuming during this time. During menstruation, female energy systems are more open in order to assist our bodies in clearing energy, and they are more sensitive to external energies as well. Energy blocks can also be engaged in a playful manner. When my first son was a toddler and enamored with costumes, I wore a pair of fairy wings while vacuuming one day. It is difficult to feel rage while wearing fairy wings. Switching from rage to playfulness, the densities in my center became lighter in response. Over time, the blocks softened. I sensed them with compassion, understanding the burdens that women carry. Now I vacuum with ease, bringing my cleaning fairy to the task of clarifying our home. Having healed this lineage imprint, my energy system is no longer held hostage by the rage pattern. I gained back an immense part of my creative range to use as it was intended—for creating more beauty in my life. Now I am working on my patterns around cooking. What are your energy blocks in mothering? What happens when you engage these blocks instead of avoiding or resisting them? How can you access more of your wild feminine landscape, the creative capacity in your center? A woman who knows what she wants is a force of nature. By clarifying your energy field and engaging the blocks or lineage patterns that would limit your creativity, you can then shift your attention to the most essential aspect of your creative fire: what you want to create. We have a choice about what we hold in the center. Particularly once we free our creative essence from restrictive patterns, we can turn our focus toward the vast potential of this life force within. As you tune in to your unique rhythms, your mothering essence will change over time. Your motherpiece is an evolving reflection of your creative inspiration. In becoming a mother, you may first step into a place of scarcity and wounding. With the emphasis of modern culture on achievement outside the home, you may feel forgotten or isolated in returning home to tend your child. As the feminine rises, however, more people will be called to tend their inner fires, whether in mothering or other ways. Take heart that the energy in the home will strengthen as the return to the home continues on many levels. In fact, many mothers also feel surprised by the sustenance they enjoy in tending the children and home. Contrary to the feminist movement, which necessarily freed women from their domestic lives, time has evolved, and more women—and men—are coming home. Do your work now: Add to your motherpiece. Cultivate a vibrant home fire that nourishes you and your family. Seize the opportunity that motherhood brings for retreat, and contemplate your retreat as a creative rebirth for yourself. Every artist knows that retreating to the inner space is essential for meeting the creative muse. Ponder the essence of your own creative motherhood; envision and then manifest your radiant form. "Mothering From Your Center is the medicine that we all need to bodily reclaim the power and pleasureof birth and mothering." Kent offers readers much more than a step-by-step recipe for new moms: mothering is global and has a powerful effect on all beings. Kent encourages her readers to explore the depth of mothering as a physical and spiritual way of healing through our lives, our families, and our souls. "Neverbefore have I seen an author put into words concepts that encompass the deepestspiritual meaning and eternal symbolism of what it means to be a woman andmother. Kent's book is infused with her own well-earned wisdom and is amust-read for any student or teacher of the creative mysteries of the femalebody and the energies that define us."